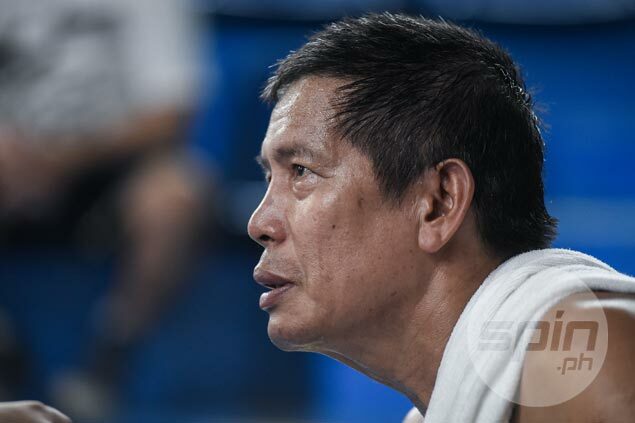 NOLI Banate chose a path quite different from those taken by his fellow retired PBA players, opting to earn a living on the road. Banate, who had a four-year career in the PBA as one of the best role players of his time, lives a quiet life in Digos City as a jeepney driver, a job that he doesn’t mind doing even though he was once a professional basketball player. “’Yan lang ang libangan ko. ‘Yun ang pinagkakaabalahan ko. Medyo mahirap ng konti siyempre, ‘yun lang ang hanapbuhay ko, pagmamaneho ng jeep,” Banate told SPIN.ph. After an amateur career spent with University of Mindanao and Crispa, Banate began his PBA career playing for Manhattan. He then suited up for San Miguel/ Magnolia before becoming one of the original members of Alaska in 1986, and retired a year later with Great Taste with career averages of 4.7 points and 4.3 rebounds. But after staying in Manila for a few more years, the 6-5 Banate decided to leave the big city to live a simple life back in his hometown, a decision that he says was a no-brainer. Before leaving Manila though, Banate had enough money to buy a jeep that he also brought with him to his hometown on his own. And to this day, he uses the jeep as his main source of income, transporting commuters from Davao City to Kabacan, Cotabato, and back. Aside from using his jeep as a public utility vehicle, Banate also uses it to deliver dried seafoods to Kabacan and Digos City. “May mga namimili sa Davao tapos kinakarga ko. Tapos kapag walang pasahero, kapag galing Davao, may karga akong mga daing, tuyo, bagoong. Pagod lang po kasi highway ‘yung dinadaanan ko at medyo malayo, mga 100 plus kilometers din,” said Banate. Being a jeepney driver may not be a lucrative career after basketball but Banate was content to be able to provide a comfortable life for his family. In fact, he takes pride in sending his four children through college with his simple and noble job. “Basta nabubuhay tayo ng marangal, walang problema kahit medyo mahirap. At least, napagtapos ko na mga anak ko. Nasa Cebu na ‘yung dalawa, ‘yung dalawa nagtatrabaho na rin. Graduate na po ‘yung bunso ko sa awa ng Diyos,” he said. His hard labor has kept the 60-year-old Banate in top shape despite his advanced age. 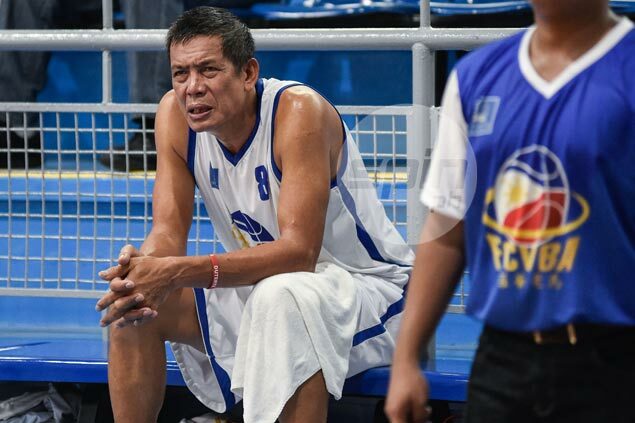 He is even part of the Filipino-Chinese Veterans Basketball Association (FCVBA) 60-above team currently competing in the 25th Asean Veterans Basketball Tournament. And the fact that Freego’s Eduard Tio went out of his way to pay for Banate’s trip from Davao to Manila is proof enough that he’s one of the top players in his age bracket in the country. “Matagal na po ako dito sa team, 10 years na. Sumasama ako dito kila Boss Eduard, kinukuha nila ako sa Davao, pinapamasahian ako,” said Banate. Not surprisingly, basketball remains in his blood as Banate regularly hits the court, at least thrice a week, to play at the Montana Gym after his Davao-Kabacan trips. “Every Monday, Tuesday, Thursday, nag-eensayo kami sa Davao. ‘Yung Montana Pawnshop, may gym kasi ‘yun. Kasama ko ‘yung may-ari ng Montana. May gym sila sa building nila sa fourth floor, doon kami nageensayo,” Banate shared. “Magda-drive ako ng jeep tuwing umaga. ‘Pag tanghalian, nag-eensayo para ma-maintain ‘yung kalusugan. Nasa 60 na tayo, kailangan natin ‘yun,” he added. Banate may have taken the road less traveled by former PBA players, but through his unusual path he’s reached the same destination all aspire for — a decent, simple, and happy life. “Pasahero, pamilya, tapos exercise, masaya na ako dun,” said Banate.